As busy and engaged real estate agents, we take a lot of a clients out week after week to look at various re-sale homes in Hua Hin. In our years of experience, we’ve viewed thousands of homes here in Thailand. Sometimes a property can look fantastic upon first glance; however, if you take a deeper look, you might find some serious issues or problems that would make you reconsider the property as a potential purchase. And on the flip side, we’ve seen “diamonds in the rough”, properties that are great quality and good value, but require a little polishing and maintenance to bring out their true potential. 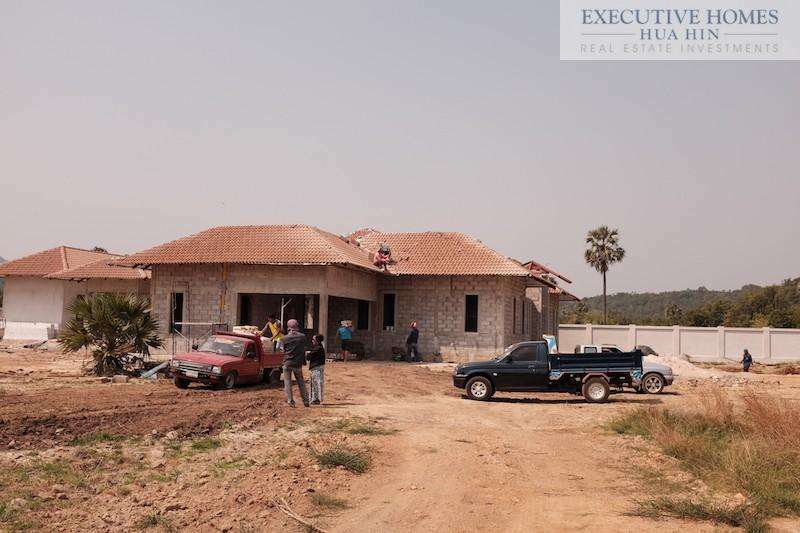 We have taken note of some key items that every potential buyer should look for when considering purchasing a Hua Hin re-sale home. Let’s get started with the 18 things you should know before buying a house in Thailand. This is just a list of some simple things to look for when viewing potential real estate in Thailand. Always ask to see a copy of the land title deed (Chanote); or, better, ask to see the original, if possible. Ask your real estate agent to read the last line on the back of the title deed to ensure that the home belongs to the person actually selling the property. You can do this even before you engage a lawyer, as it will only take a few seconds. If you’re seriously considering purchasing a property, it is always recommended that you engage a reputable lawyer once your offer has been accepted by the Seller. A good rule of thumb is to stay away from complicated and potentially messy sales. And if the deal sounds too good to be true, it most likely is: get a lawyer to take a look at the title deed, the sale contract, the lease contract (if applicable), and all other documents to ensure that you and your investment are protected. Designing & building a house is a technical endeavor which requires a lot of factors to be considered during the planning and building phases. If you’re not very interested in the functionality or mechanics of the house, you may be missing some important information that can make the difference between living in Thailand a very comfortable experience or downright miserable. That’s why we have compiled a technical checklist to ensure that you are asking the most relevant questions that can help determine if the house you want to purchase meets some basic building techniques conducive to living in the tropics comfortably. 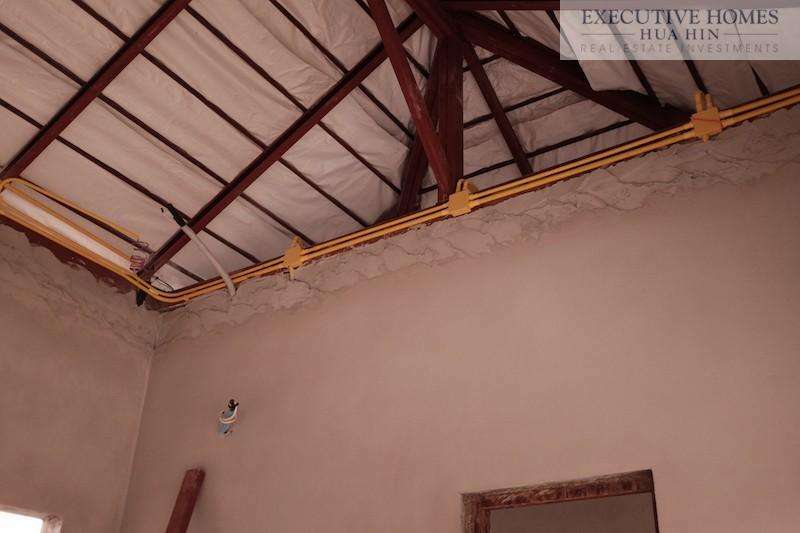 (Please note, some of these points/suggestions may not apply to off-plan homes) Pillar & Beam Foundations Unfortunately, this is something you can’t normally see when purchasing a re-sale home. Here in Thailand, by law, if you are building a concrete-syle home, you must use pillar and beam foundations reinforced with steel rebar. As far as we know, load bearing walls are not allowed in Thailand. Most builders do not use slab foundations, but instead use footings with concrete pillars. It is common practice to dig down towards the bedrock and pound large concrete “nails” as far into the ground as possible. A good builder will try to hit bedrock with the concrete nails and then begin the process of setting up the forms and steel necessary for the footings and pillars, which will eventually be partially responsible for holding up your roof. If the quality of the foundation is good, you shouldn’t be able to find any large cracks in the walls. In other words, the house should not shift or move much, otherwise the walls develop visible cracks. Often, if the house is shifting, you’ll discover cracks near the corners of walls (but they can appear anywhere). There are other factors that help ensure the stability of the house, but a proper foundation (and a good ring beam) is essential to keep the house from settling or moving too much. It’s important to be able to differentiate between large cracks and superficial cracks in the wall renderings. If you can slide the edge of a small 1 Baht coin into a crack, then there may be an issue with the foundation. Here in Thailand, it doesn’t seem to be common practice for plumbers to use P-traps throughout the house. If you’re unfamiliar with western style P-traps, they are generally used to trap sewer gasses from entering the house and causing unpleasant smells. Instead, here in Thailand, shower and floor drains tend to use bell drain traps to block septic smells from entering the house. Unfortunately, bell drain traps tend to dry out quicker than P-traps. Sinks should still use P-trap style drains, but if they’re missing you can certainly get septic gasses entering via the various sinks throughout the house. Additionally, a good quality home shouldn’t be disposing of grey water directly into the septic tank. Grey water and sewage should be separated. Potential buyers should always ask how grey water is dealt with, and also how many septic tanks there are (good builders should have one septic system per bathroom). How much back-up water storage does the house have? Typical homes in Thailand have approximately 2,000 – 4,000 L of backup water storage. For most families, this is not nearly enough in the event of a water shortage. To be safe, you probably want to ensure that the house has around 12,000+ L of water storage, especially if you have an automatic garden irrigation system. Ordering water from the local water trucks when you run out of water during the dry season is not enjoyable, nor is it generally considered very sanitary. All electrical wiring should at the very least be tied together with wire nuts. Black electrical tape is just not safe nor acceptable for modern homes built with lots of steel. Ask to see where the grounding rod is for the house. You may not be able to see this, but it doesn’t hurt to ask if the Seller knows where the grounding rod is located. It’s also a very good idea to purchase an electronic polarity checker and test for correct polarity, at least in the bathrooms and kitchen. Crossed polarity in a potentially wet area can be dangerous. It’s also nice to have conduit runs for your electrical, especially for all outdoor garden wiring (this is actually required). If the house uses ROMEX inside the attic space, it’s not essential that the wiring be encased in conduit, but it keeps the wiring organized and the area clean. Additionally, all modern homes should be taking advantage of LED lights by now. Anything else will cause your electricity bill to be more expensive. Ask if the house has solar panels, and if not, ask if you would be able to add them (some developers do not allow them, as they feel the panels are unsightly). Solar panels are becoming more common these days and can provide a cost effective way to run AC units and swimming pools throughout the day. It is our opinion that central hot water tanks are far nicer than the instant electric water heaters, commonly found under sinks and mounted on walls in showers. In our experience these small electric heaters are poorly manufactured and often fail. Furthermore, these electric instant water heaters rarely provide hot water at a consistent rate for an enjoyable shower. If you prefer a luxurious hot water shower, always opt for a house with a central hot water tank. Contrary to popular belief by proponents of the instant water heater, the central water heater does not cost significantly more in electricity to operate. In tropical climates, it’s important–essential, actually–to keep the house as cool as possible by taking advantage of consistent natural breezes, shade, and any other solar blocking mechanisms (curtains, solar sails, sun shades, trees, etc). Houses without overhangs or eaves tend to be much hotter inside than houses with roof overhangs. Most houses in Thailand seem to have a standard eave length of about a half meter. Some better quality homes build with 1 meter overhangs, and the best quality homes use 1.5 meter eaves. The larger/longer your eaves, the more shade you will have on your house walls throughout the day and hence, the cooler your home will remain (and the less costly your electricity bills). Painting the exterior of your home can be quite expensive if you need to continually do it every year. Some homes employ the use of cladding around the house, from the ground level to about 1 meter high. The material can be natural stone, tile, or another protective material. This technique protects the house paint from peeling when it reacts to the rapid heating and cooling caused by the sun, rain and garden irrigation system. You’ve probably noticed many homes throughout Thailand that have bubbling and/or peeling paint on the exterior walls near the base of the house. This is mostly caused by the sprinkler system spraying the house with cool water (as well as wicking moisture from the ground) and the sun quickly drying it. 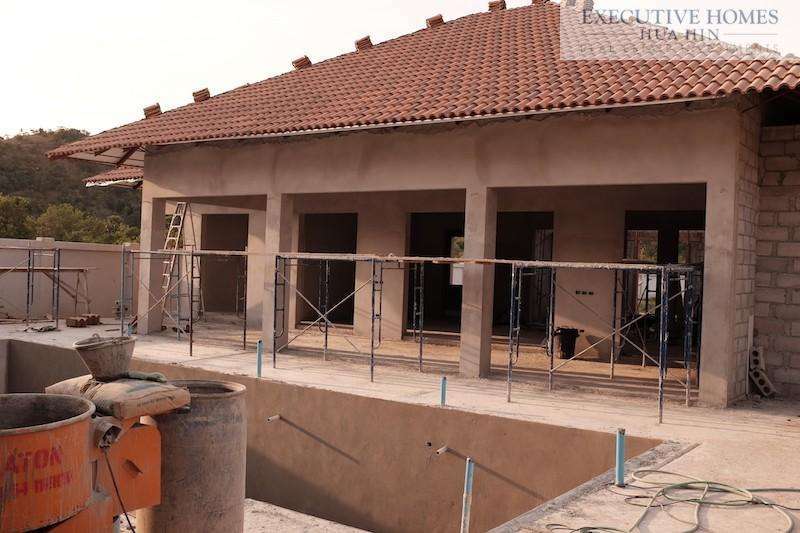 A better quality home will cover the first meter of the house with tiles, natural stone, or a combination of the two. This protects the house paint from peeling and keeps the property looking much nicer for much longer. A better quality pool should be self-filling these days. You don’t want a pool that requires a garden hose to be stuck inside for several hours every few days. If you don’t like cleaning pools yourself, you can always hire a local pool cleaner, which is an inexpensive option here in Thailand. If you want your pool to look clean and to be fairly maintenance-free, opt for an infinity edge pool with a salt water chlorinator. Infinity pools push leaves and other debris over the infinity edge into a catch tray below, keeping the surface of the water looking nice and clean. Saltwater pools are better for your health than chlorine and tend to require less maintenance when balancing the chemicals. Have you noticed if some of the tiles inside the house (on the floors or on the bathroom walls) or on the terrace are starting to pop loose or make a hollow sound when stepped on? Usually this is just an indication of a poor quality tiling job. However, it sometimes means that there are moisture issues under the floor. Of course, this is not always the case, but if you are worried about this, you should have a licensed contractor take a look. Additionally, good quality contractors will understand the importance of having non-slip tiles or stone around the swimming pool area, the bathroom, and other areas that are potentially hazardous when wet. A good quality house should always have rain gutters, or at least a reliable method for directing runoff from the roof away from the house and garden. Higher quality homes will collect the rainwater and send it to the water storage tanks for later use. Are the interior doors to the bedrooms and other rooms hollow? Hollow doors are cheap and can damage easily. Better quality wood doors are usually solid core and provide better sound insulation. Some homes use aluminum or glass for interior doors. These are also fine if it suits your preferred style. A good quality home should have baseboards around the base of each interior wall. This protects the wall paint from looking dirty when you mop the floors. Baseboards also hide rendering imperfections between the wall and floor, as well as providing the house with a more elegant and finished look. 14. 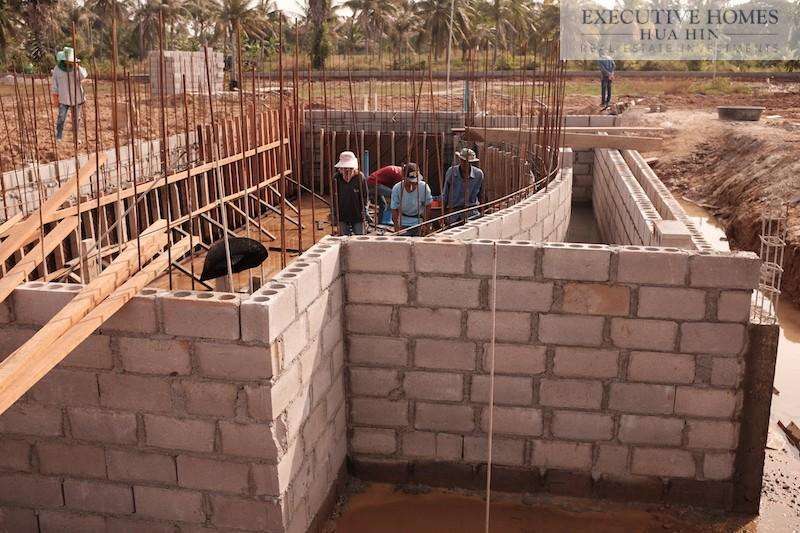 CAN YOU SEE THE FOUNDATION PILLARS STANDING PROUD FROM THE INTERIOR OR EXTERIOR WALLS? A good quality home should be able to hide the foundation pillars within the walls. If you can see the pillars exposed in the walls, then it’s usually a telltale sign that the builder used cheaper building materials, rather than the thicker, more expensive blocks for constructing the walls. 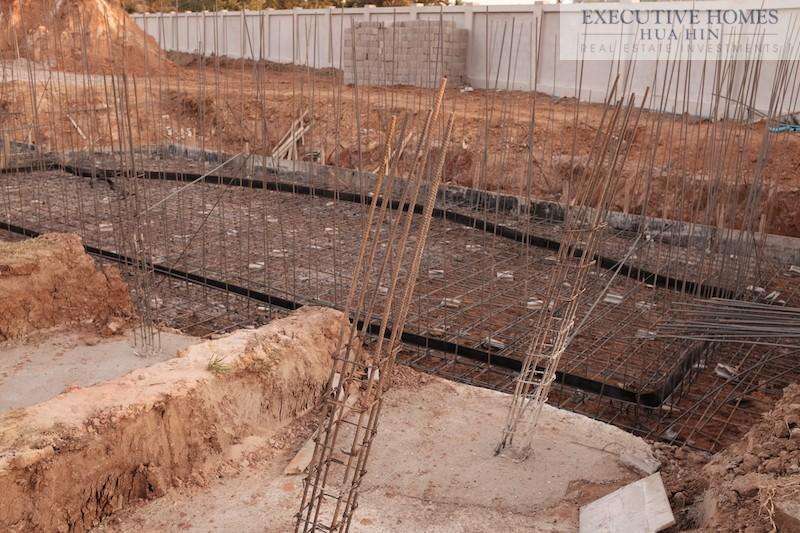 If the foundation pillars jut out from the walls or corners on the interior of the house, there will be less continuous wall space for placing furniture. Additionally, visible pillars along the wall just don’t look that nice. 15. WHAT TYPE OF BUILDING BLOCKS DID THE BUILDER USE? Each client has different preferences and needs when it comes to chosen lifestyles. Are you an avid kite surfer? Do you intend to play golf every week? Do you have kids that need to be close to an international school? 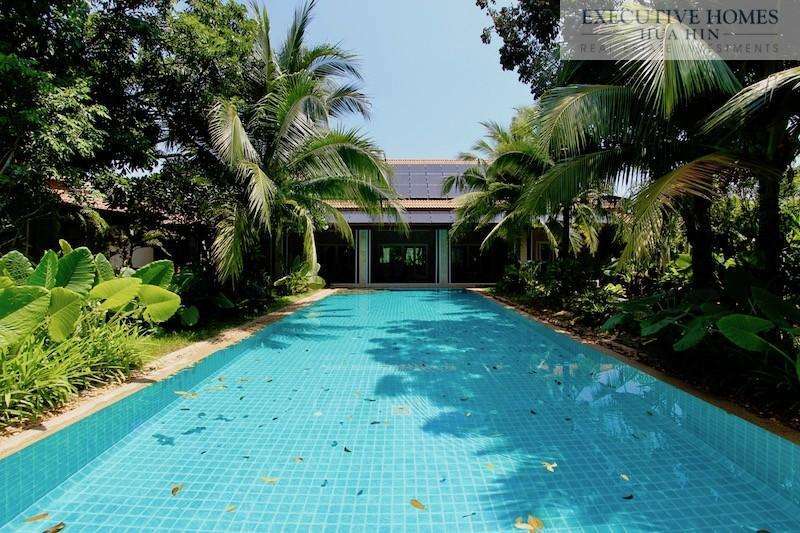 If you like a particular house in a specific Hua Hin area, ask your real estate agent to drive you from the house to a destination where you envision yourself traveling often. An experienced real estate agent usually knows the fastest route to get wherever it is you want to go! Watch out for houses located in close proximity to a cell radio tower or large transmission power lines! What are the surroundings like just outside of the house? Are there shops and cafés nearby, or are the neighborhood streets occupied by roaming packs of stray dogs? You’ll also want to check the area in the evening for mosquito infestations. Contrary to what many people think, homes located next to lakes or bodies of water stocked full of fish tend to have far less mosquitos than homes with a lot of overgrown foliage. A house near water can be far more pleasant in the evenings, due to the lack of mosquitos. 17. WHAT ARE THE COMMON AREA FEES? Some Hua Hin housing developments have very minimal common area fees (or sometimes no fees at all), while others have very expensive fees that seem to approach the cost of a traditional mortgage payment (except that these fees never end). Be sure to ask what the common area fees are and what services are included in this fee. Also, be sure to ask if there a sinking fund. Most housing developments within Hua Hin don’t require this, though there are some that do; many Hua Hin condo developments require a sinking fund. 18. HOW OLD IS THE DEVELOPMENT & WHAT IS THE GENERAL ATMOSPHERE OF THE NEIGHBORHOOD? Does the overall development seem to be thriving, and do you get a good feeling immediately upon entering? In other words, are there many residents living in the development? Is the development well-maintained both throughout the common areas and also the individual homes and gardens? Are there lots of empty plots, or is the development nearly sold out? If the development is more than a few years old and still has many empty plots, it could be a sign that most people do not find this area or this particular development appealing, and there is a good chance that the development will never be finished. This is important to notice, as it is generally more difficult to sell a home in an unfinished development. If you have any other questions that you think are important to ask when considering purchasing a Hua Hin re-sale home, send them to us! We’d be happy to answer and can also add them to our checklist for other potential buyers. 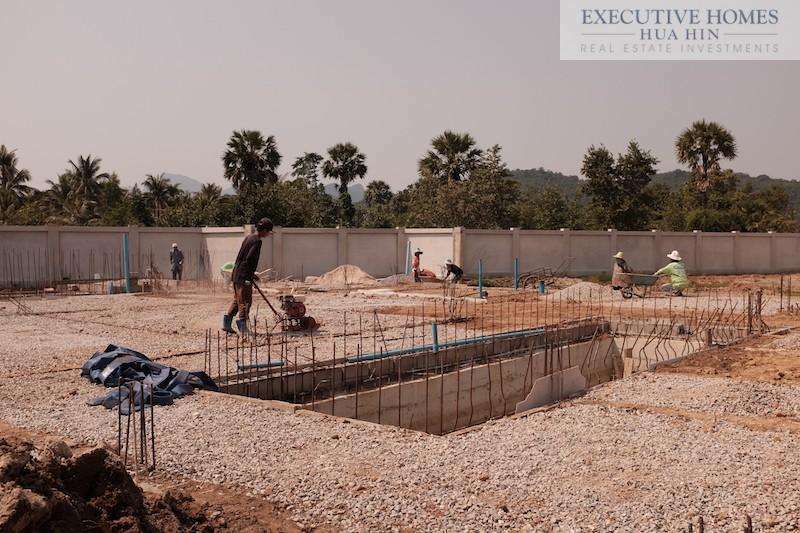 Our intention is to help clients make the best decisions when purchasing a Hua Hin property and to steer clear of unnecessary risks or bad choices when possible.